FULL BOAR: Full Boar is a natural way to provide you with a pick-me-up. Use morning, noon, or night to give you a boost of energy, with twice the impact of energy drinks. Plus it is all natural with no sugars! 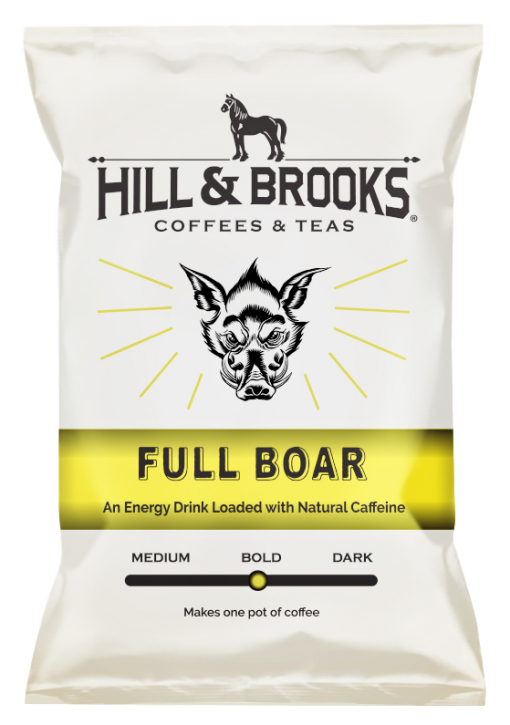 This coffee will keep you wide awake so you can take on your day FULL BOAR!! Cupping Notes: This blend presents a smoky bouquet that signal the bolder roast. It has a heavy body, low acidity, and a rich earthy molasses flavor. 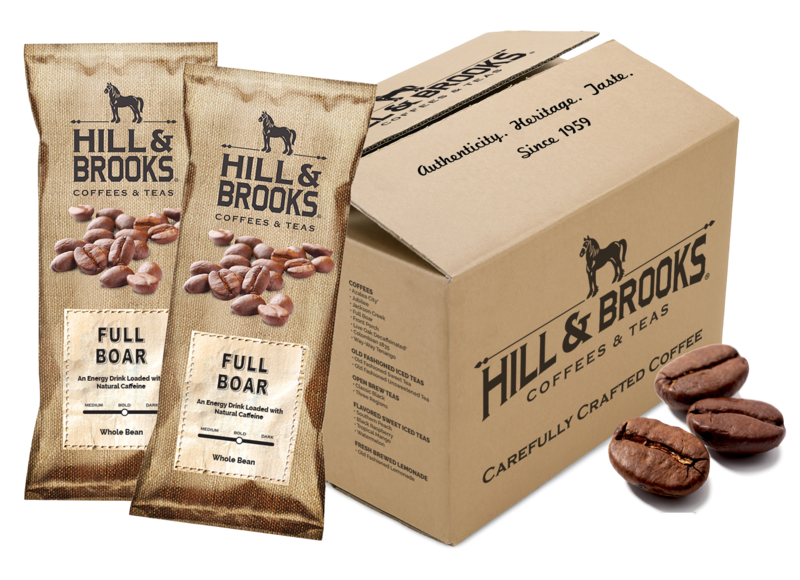 The darker roast is present in the strong flavor of the cup. This coffee is not for the faint of heart. NOTE: this coffee has a higher than average caffeine content. Countries of Origin: Indonesia, Brazil. This high caffeine blend of coffee is sourced from the two most prominent regions known for high quality, high caffeine coffees, Indonesia and Brazil. 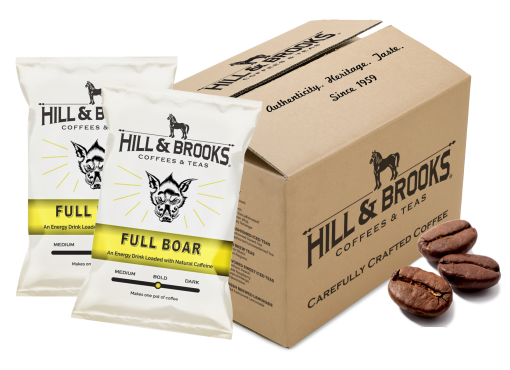 The Marriage of over 300 years of Indonesian coffee heritage and special drying and fermentation techniques from Brazil yields a cup with bold flavor and extreme caffeine.